– Select the HP ENVY 5661 series from the list of devices at the left of the window. Ink level warnings and indicators provide estimates for planning purposes only. When you receive a low-ink warning message, consider having a replacement cartridge available to avoid possible printing delays. You do not have to replace the cartridges until the print quality is unacceptable. 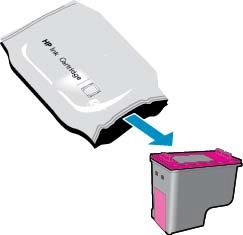 Use the single-cartridge mode to operate the HP ENVY 5661 series with only one ink cartridge. 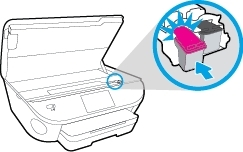 The singlecartridge mode is initiated when an ink cartridge is removed from the ink cartridge carriage. During single-cartridge mode, the printer can copy documents, copy photos, and print jobs from the computer. 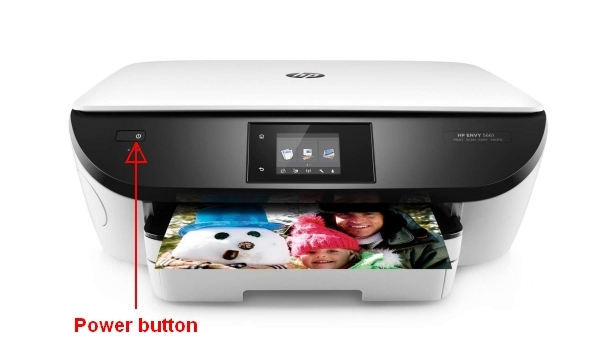 Which ink cartridges do I need for my HP ENVY 5661 e-All-in-One series Printer? For your US, European and UK HP ENVY 5661 e-All-in-One series Printer you need HP 62 Black and HP 62 Tri-Color cartridges or HP 62XL Black and HP 62XL Tri-Color cartridges. There are also Combo Packs (2 cartridges in one pack) available, like the HP 62XL/62 High Yield Black and Standard Tricolor Ink Cartridges Combo Pack. 3. Open the access door by placing two fingers under one or both of the small handles on the sides of the cartridge access door and then lifting it up. Wait until the carriage is idle and silent before you proceed. The Door Open screen displays on the printer control panel with the message, ‘The cover or door must be closed to print. Check that it is completely closed.’ A Change Ink option also displays on the bottom right corner of the touchscreen. 6. Remove the plastic tape from the ink cartridge using the coloured pull tab. 7. Slide the new cartridge forward into the empty slot. 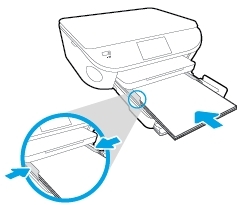 Slide the new ink cartridge at a slight upward angle into the empty slot, and then gently push the ink cartridge until it snaps into place. If you are installing the tri-color ink cartridge, slide it into the left slot. If you are installing a black ink cartridge, slide it into the right slot. 9. Close the ink cartridge access door. When the door is completely closed, the Door Open screen with the message, ‘The cover or door must be closed to print. Check that it is completely closed.’ disappears, and the printer returns to the Home screen. – From the printer control panel display, touch Setup. 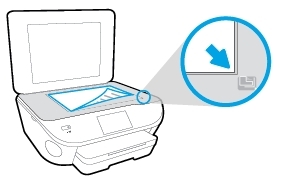 – Touch Printer Maintenance, select Align Printhead, and then follow the on-screen instructions.